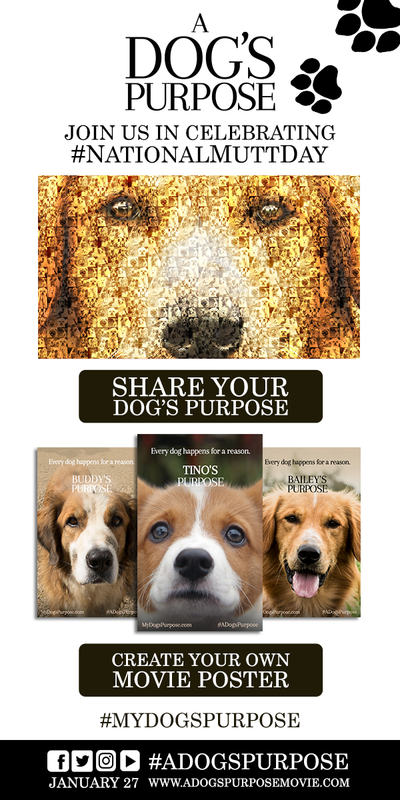 In celebration of #NationalMuttDay, we invite you to share your dog’s purpose. Add your furry friend's picture to the film’s mosaic and tell the world how your dog enriches the lives around you, or create your own movie poster using your dog’s photo. Don’t miss #ADogsPurpose in theaters this January!